The concept of 'sustainable development' was first introduced at the time of the 1992 Earth Summit in Rio, where over 170 heads of state signed a plan of action for the 21st century - Agenda 21. Agenda 21 sets out a proposal for sustainable development that combines several goals: preservation of the environment, social equity and economic efficiency, aiming to ensure the well-being of the world's people without compromising the future of generations to come. This Atlas proposed an unprecedented 'reading' of the global situation, supported by socio-economic, geopolitical and environmental data. Topics including access to education, the gulf between living standards in the North and the South, women's civil rights, climate change and international solidarity are presented along with a series of fully updated 30 information sheets and 40 full-colour maps. 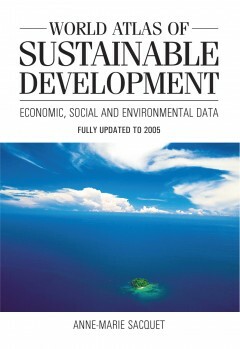 'World Atlas of Sustainable Development' is a unique and valuable tool for individuals and organizations interested in development, whether they work in businesses, administration, local authorities, associations or education, as it is designed to be concise, accessible and objective. Dr Anne-Marie Sacquet is Director of Comite 21, the French Committee for Environment and Sustainable Development. She has mediated in issues of sustainable development for over 20 years, working with public organizations, professional and entrepreneurial groups.